Follow these rules, and your category can be the rising tide that lifts your ship. Creating content when you’re at the leading edge of an emerging category is very different than creating content when everyone’s already convinced that your category is a real thing. Sure, you’ve got your own set of demand generation objectives, but first and foremost you have to nurture the category. 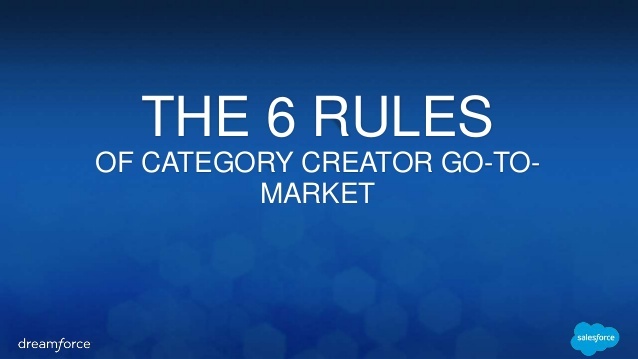 To help us out, Mark provided us with six clear rules about go-to-market for category creators. First off, people need to know about your category and the needs that it fulfills well before they need to look at individual companies within that category. Promoting your category gets it in the prospect’s mindset and increases awareness, which is a first step towards them discovering your company. At first, interest in the category itself tracks with interest in the category creator. But after a while, a wonderful thing happens: interest in the category creator pulls away from interest in the category itself. This transition is visible about halfway through the two graphs in the image below. Notice the two distinct stages within each graph. Recall that your category is defined by and built to serve the early outcasts who saw themselves as different. In Mark’s presentation, he refers to this group as the “under-served missionaries”, and as the category creator it is your job to elevate them to rockstar status. Enable and genuinely celebrate their successes, make their lives easier, link them with like-minded folks, bring them into your customer forum…do whatever it takes to help them achieve group status and to have their voices be heard. By doing so, you will create an environment in which they become a major force in growing your category and spreading the word of its virtues. Mark has created a company around the concept of advocate marketing. This rule aligns very well with the previous one, but takes it one step farther: whereas elevating the under-served missionary is all about legitimizing and validating the category, advocate marketing shifts the focus a bit over to you and what you can do. By identifying the folks who believe in you, and aligning with their motivations, you can turn them into your most powerful demand generation force. New categories get no respect. To change that, you’ll need to identify the influencers and convince them that your category is real. So, who’s an influencer? Nowadays, influencers take many forms. Beyond industry analysts and media (both mainstream and topical), you’ll need to get the bloggers onboard. From my own experience, I can tell you that trying to change an analyst’s mind is a tall order. So, um, good luck with that! If you’re the only player in the category, or are perceived to be the only player, then people probably won’t think you have a real category. 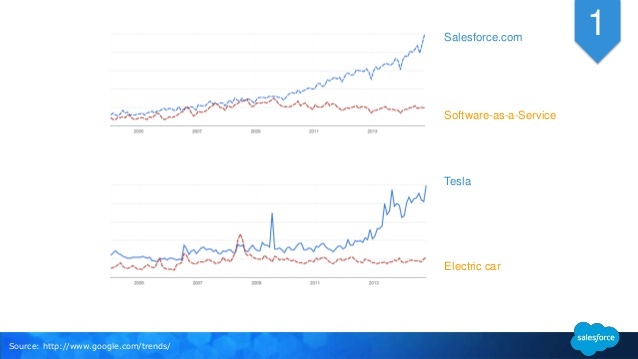 So, counterintuitive though it may be, you need to enable your competition to co-own the category. How? Well, one way is to create a category forum or to run a category conference that covers issues in general, and you invite other practitioners to participate. Think: openness, APIs, partner enablement, hooks into other systems, etc. The more players who depend on you or your data, the more folks you have on your side. Find the interested parties and help them integrate! What they bring to the table will vastly extend your own solution, leading to a truly transformational experience for the user; plus, they’ll help you identify new opportunities for product extension.